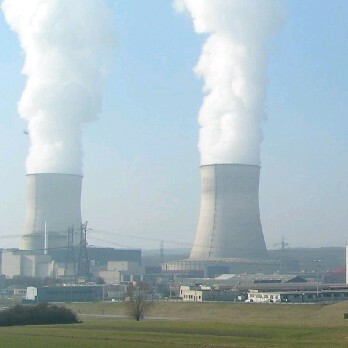 According to an article in La Tribune, a French economic newspaper, Electricité de France ( EDF, the French electricity operator ) is discussing with British Energy to build a nuclear power plant in the United Kingdom. Electricité de France is indeed discussing with British Energy in order to build nuclear plants together on UK soil. According to the Financial Times, both companies hope to connect to the grid the first plant by Christmas 2017. Meantime, the US company GE wrote to the British government as the Telegraph reported in another article. Still to this source, the local government agencies will release in May data for companies willing to big for the offer. The Government will give guidelines in the White Paper on how it wants companies to bid for the first British nuclear building programme in a generation and several players are waiting until they see the document before putting their hats into the ring. As the article states, GE operates 79 nuclear plants worldwide, including 35 in the United States. Meanwhile, EDF operates 58 reactors in France alone. The French operator is to date the world biggest nuclear energy producer as Forbes mentions (see linked article). This fact gives a certain advantage to EDF in the world competition within the nuclear energy industry. The plants, if they were built would be the first in the United Kingdom in 30 years. To me, this would represent a good thing as nuclear energy is now a mature energy source and as it is almost greenhouse gases free. One can note that UK electricity is currently done by 40 percent by coal based plants. Thus, replacing those fossil fuels fired plants by nuclear ones and in the meantime working on renewables and energy efficiency would enable the United Kingdom to fulfil its ambitious commitment of reducing its greenhouse gases emissions. ← An exoplanet where Mankind could live ?